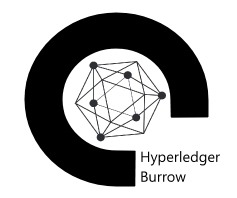 Hyperledger Burrow is a permissioned blockchain node that executes smart contract code following the Ethereum specification. Hyperledger Burrow, a Linux Foundation Project is a permissioned Ethereum smart-contract blockchain node built with Monax. It executes Ethereum smart contract code on a permissioned virtual machine. Burrow provides transaction finality and high transaction throughput on a proof-of-stake Tendermint consensus engine. For smart contract development most functionality is provided by monax chains, exposed through monax, the entry point for the Monax Platform. Â©2012- 2019 , Amazon Web Services, Inc. or its affiliates. All rights reserved.